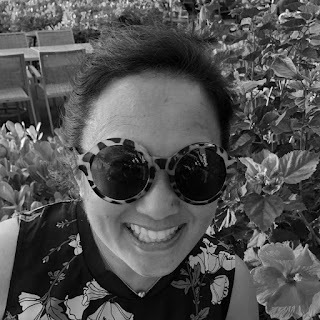 amy tsuruta Archives - Pebbles, Inc.
Springtime projects with our guest blogger Amy! Hello! 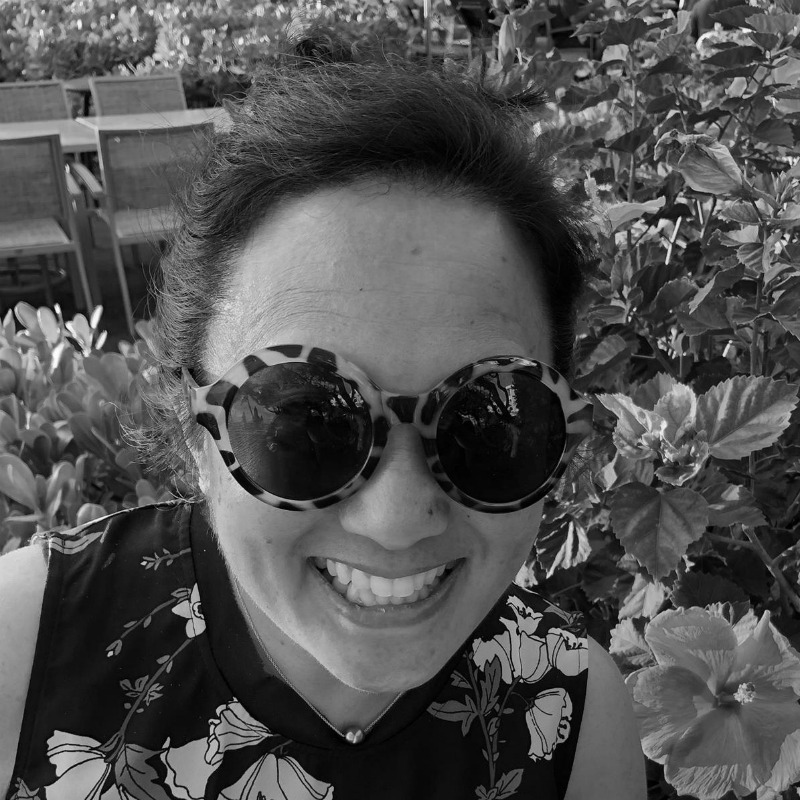 My name is Amy and I’m so thrilled to be a Guest Designer for Pebbles! 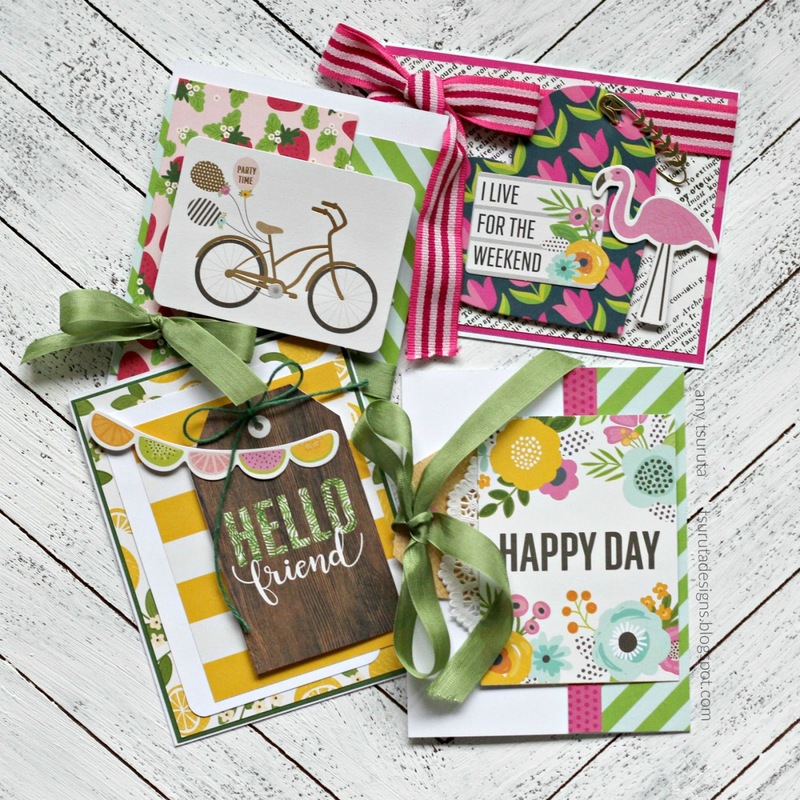 I adore colors and patterns and had so much fun playing with Jen Hadfield’s Patio Party Collection. I live in the gorgeous Pacific Northwest and we’re patiently waiting for Spring to arrive. I was so excited to dive into these springtime colors and patterns in the meantime. 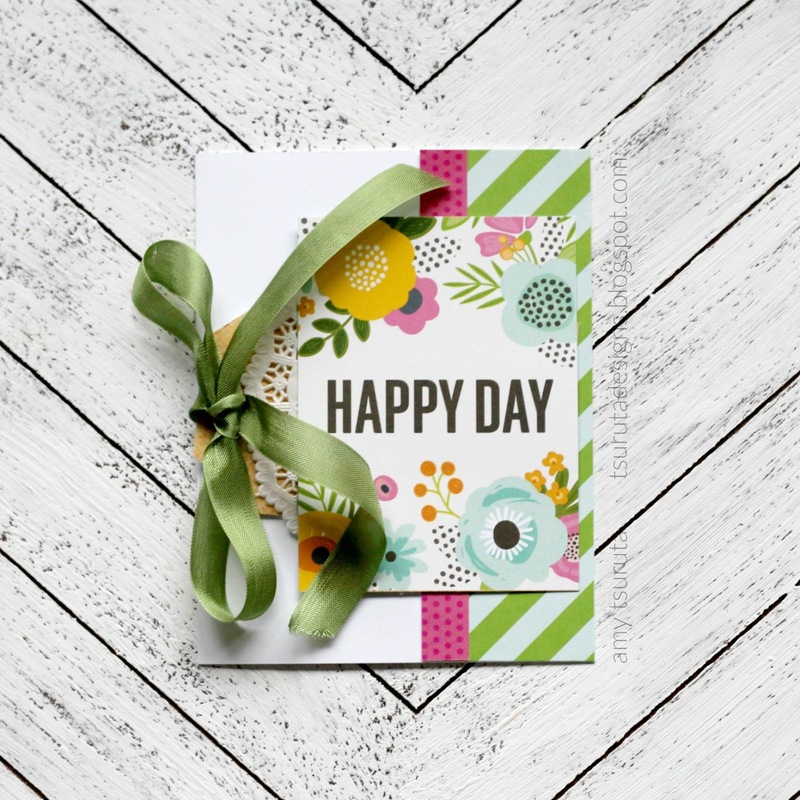 Hope you’ll join me as I introduce each card! 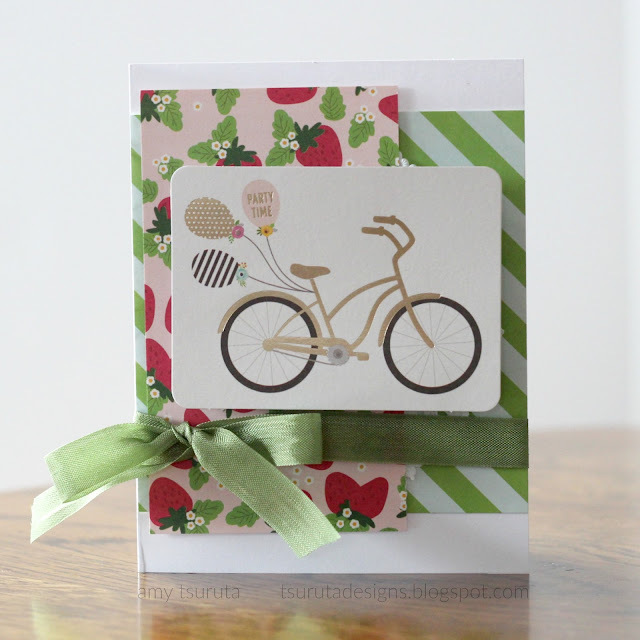 I couldn’t wait to combine the Fresh Berries and Summer Dreams paper. 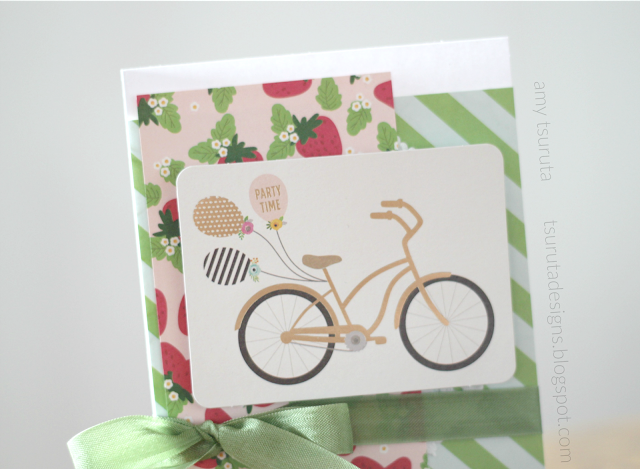 I added a Party Time Journal card from the Ephemera Cardstock set. My next card is filled with color! I love the text background from Scattered Posies teamed up with the Tulips. 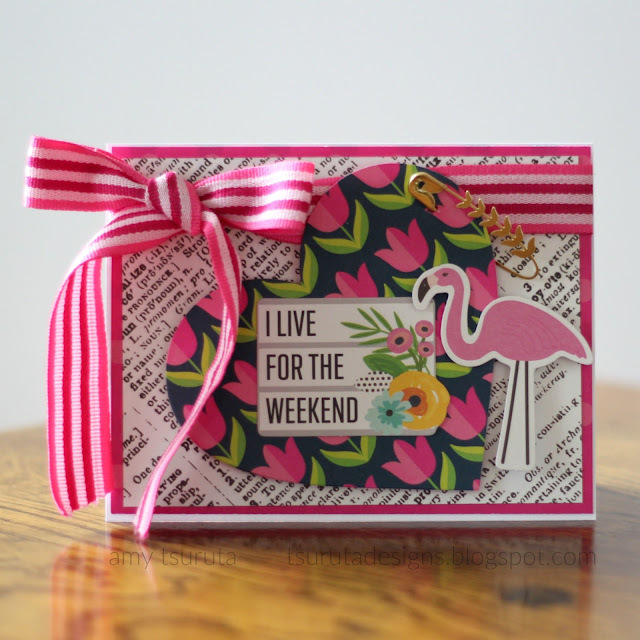 The ephemera, especially the flamingo, add the perfect touch. 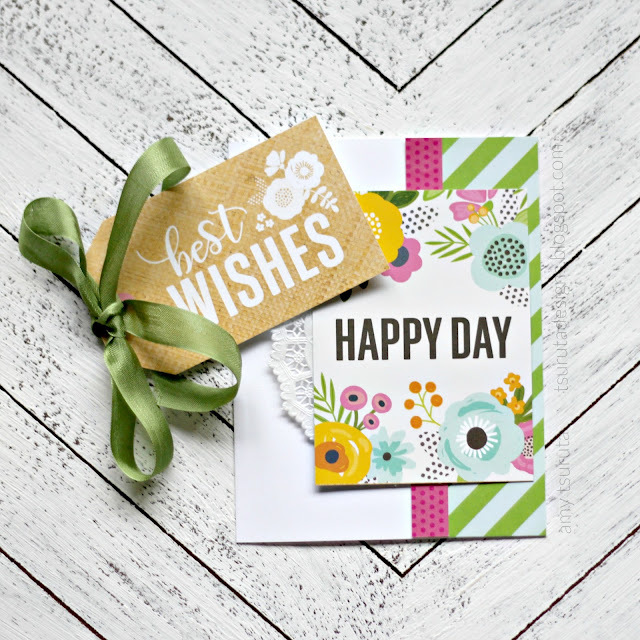 I had to fit a safety pin into my design as well; that with the pink ribbon I’ve been hoarding added the perfect finishing touches to my card. 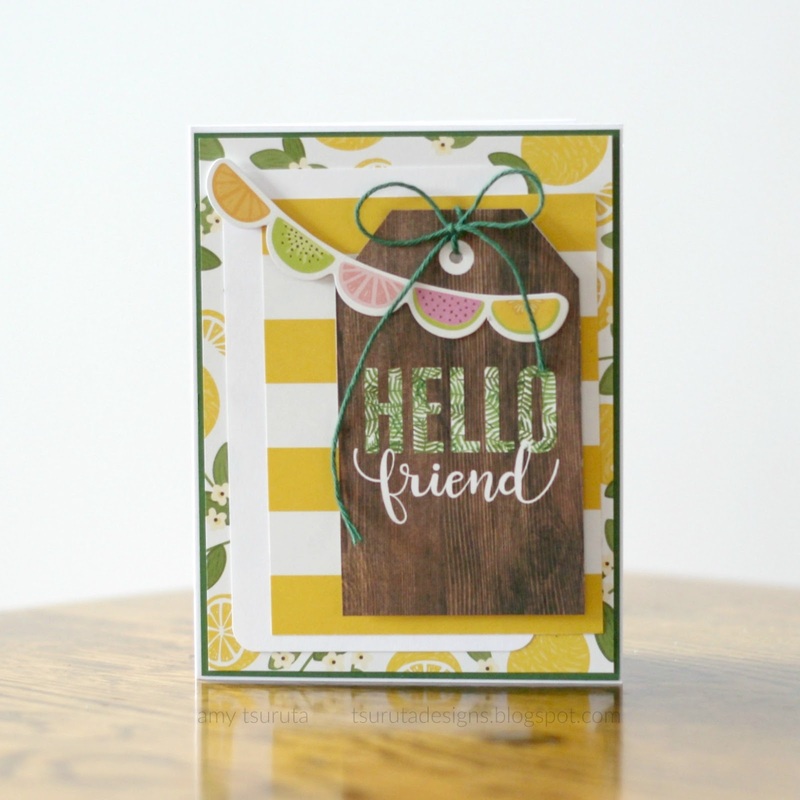 I love fruit, both to consume and to craft with so the Citrus Sweet paper was especially fun to work with. I couldn’t wait to use that fabulous Hello friend tag and citrus banner. The polka strip is the footer of one of the 12×12 sheets. I always save them for just this kind of design. The Best Wishes tag was tucked behind the Happy Day journal card. I’m so grateful for this opportunity and had so much fun designing with Jen Hadfield’s Patio Party Collection. I hope this brought a bit of Springtime to your part of the world.